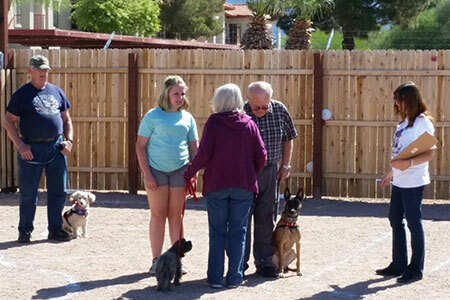 Paws 4 Life is a non-profit organization serving the community through pets, service dogs, and volunteers working together to bring affordable training and unique services to the East Valley. 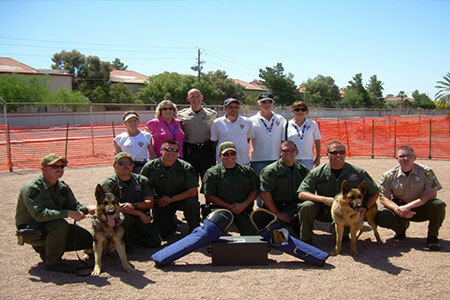 We also offer training to out of state dogs and handlers for informational purposes through videos on our web site. 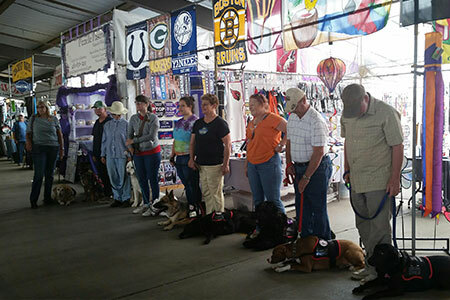 Service Dogs complete extensive training, and are registered through a State-wide Service Dog registry. They will complete and 18 month training program, with additional training with local Fire, Police, Sheriff and water/ horse distraction training. Our Service Dogs maintain their skills in group training, as well as show off their exceptional abilities at local schools and events! Paws 4 Life has an ongoing donation list of items we need and use everyday. We always need things such as cases of water, toilet paper, paper towels, juices, AA batteries, reams of paper, leashes (1.5 in. width), ink pens, pencils, and small orange cones. Money donations are also needed, and greatly appreciated. We rely on our community’s generosity and support to keep our organization operating, and to continue expanding over time. Paws 4 Life started out in 2007, when it received its non-profit status 501(c)(3) #36-4621483 EIN) (DLN 17053178314008. Training is held at the Apache Greyhound Park and all staff, including the trainers, are volunteers. No one receives a paycheck. It’s a 100% volunteer organization.